People often equate environmentally friendly cars, buildings, and products with being unsightly. 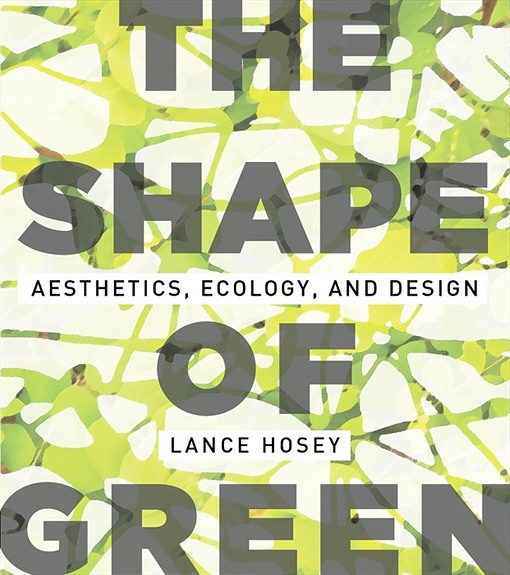 Yet not only can sustainable design be beautiful, argues author Lance Hosey, its beauty can make it more sustainable. Buildings that adapt to their locations to use a fraction of typical energy needs. The first book to outline principles for the aesthetics of sustainable design, The Shape of Green does not ask that consumers sacrifice comfort. Rather, it shows how designers can create products that are aesthetically pleasing, environmentally friendly, and enjoyable for years to come. “Can we be as smart about how things look as we are about how they work?” asks Hosey. Hosey, a nationally recognized architect, designer, and author, is President & CEO of GreenBlue, a nonprofit working to make products more sustainable. Hosey has more than two decades of experience in sustainable design and strategy, and he has worked with some of the world’s leading companies to advance sustainable innovation. Previously he was Director with the renowned pioneer of sustainable design William McDonough + Partners.